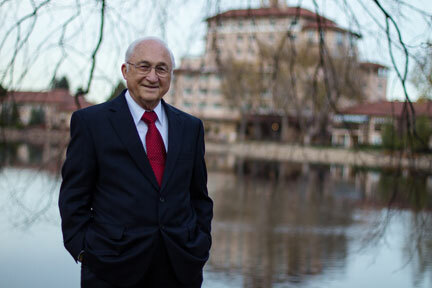 Mr. Zachman serves on the Executive Council for Information Management and Technology (ECIMT) of the United States Government Accountability Office (GAO) and on the Advisory Board of the Data Administration Management Association International (DAMA-I) from whom he was awarded the 2002 Lifetime Achievement Award. In August 2015, Mr. Zachman was awarded a Lifetime Achievement Award for “recognition of his long term impact and contribution to how people think and practice Enterprise Architecture today, leaving his mark on generations to come” by the Global University Alliance and LEADing Practice. He was awarded the 2009 Enterprise Architecture Professional Lifetime Achievement Award from the Center for Advancement of the Enterprise Architecture Profession as well as the 2004 Oakland University, Applied Technology in Business (ATIB), Award for IS Excellence and Innovation. In August 2011, he was awarded the Gen. Colin Powell Public Sector Image Award by the Armed Services Alliance Program. In November 2013 he was acknowledged for Achievement and Excellence for Distinguished Innovative Academic Contribution by the IEEE Systems, Man and Cybernetics Society Technical Committees on Enterprise Information Systems and on Enterprise Architecture and Engineering.